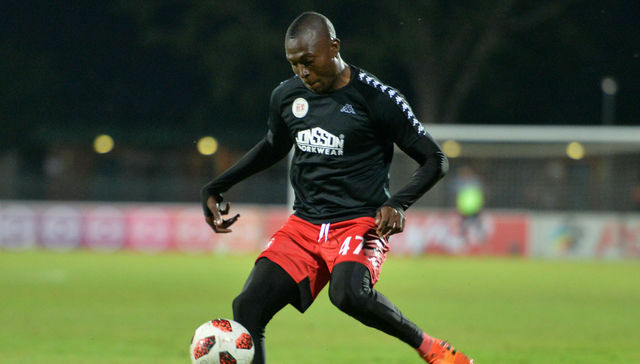 Highlands Park striker Tendai Ndoro insists he is happy with the progress he has made since joining the team at the beginning of the season despite having scored one goal in nine appearances. In an interview with Kick-Off, the forward said he was still gelling with the rest of the squad and believes one day he will reach his top form. “Yes, I’m happy [with how things have gone at Highlands]. Every team has its own philosophy, so you have to gel in to be part of it. One day it will be okay for me, but I am happy with the way things are proceeding. Ndoro also believes that a lack of composure is behind the low number of goals for forwards in the Absa Premiership. “I don’t know what’s wrong or if it’s the type of football, but we need to have more composure and take full responsibility as strikers for not getting enough [goals],” he added. The PSL’s current leading scorer is Black Leopards ace Mwape Musonda on eight strikes along with Bloemfontein Celtic star Tshegofatso Mabaso.